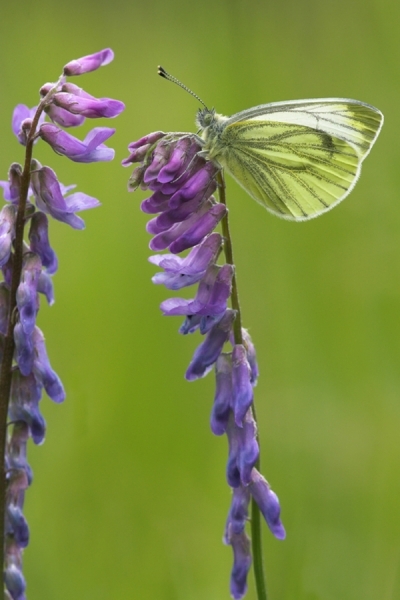 Home | Butterflies | Green Veined White on tufted vetch. Green Veined White on tufted vetch. Photographed along the banks of the River Whiteadder,near my home in the Scottish Borders. Canon 1D Mk11N camera,180mm lens,1/160 f9.